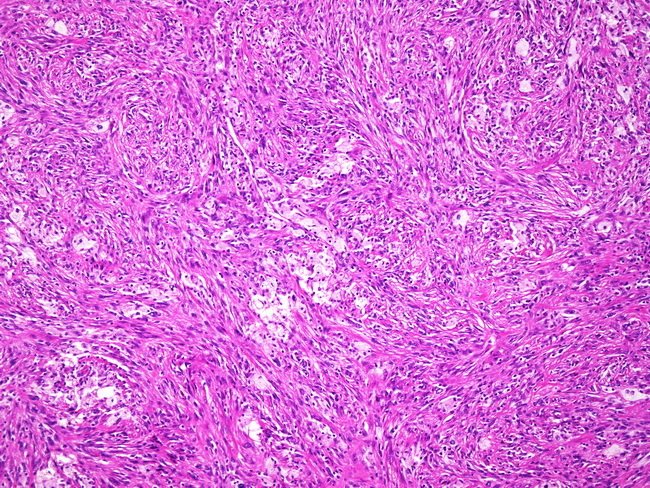 Fibrous histiocytomas are considered to be benign neoplasms composed of fibroblastic and histiocytic cells, scattered inflammatory cells, foamy histiocytes and hemosiderin-laden macrophages. When located superficially in the skin, they are referred to as dermatofibroma. They appear as slow-growing nodules in adults, often involving the extremities. Pigmented forms may be mistaken clinically for melanomas.